We have developed a unique pan-European Alliance with EU carriers built on trust and flexibility reinforced by ecommerce dexterity, financial strength and investment in latest technology and equipment. The Efret Alliance between us and other like-minded stakeholders is - the vital link - dedicated to excellence. Strong finances underwriting flexibility over long term aims. Can-do first/argue later approach focused on customer needs. Clear, concise, courteous and accurate communication. 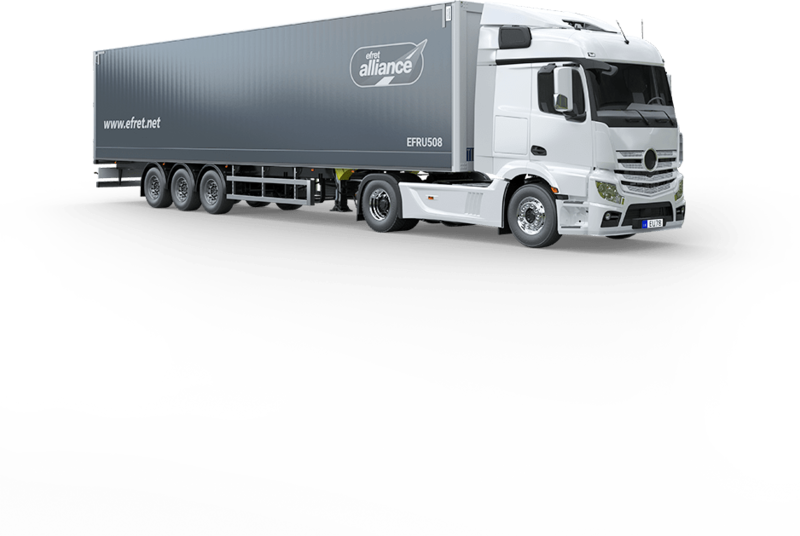 Modern fleet with GPS tracking and POD scanner available 24/7. Operational contacts truly available 24/7 and over festivities. Non-disclosure non-circumventing terms respecting each other. Discipline in applying an agreed Standard Operating Procedure. Favourable payment terms and simplified admin via self-billing.